The need for fire equipment has been increasing with the passage of the time due to an increase in the number of fire accidents. 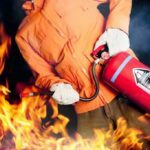 According to fire department record, the percent of fire accidents is increasing each year and we need to take a serious step forward to have control over fire accidents. We cannot take a risk when it comes to the lives of our families, children’s, and all those peoples, who are in surrounding of us. We need to install all the equipment’s which can help us in controlling the fire accidents. There are certain points; we need to keep in mind while installing fire equipment. The first and most important point is having enough information about the fire equipment to select the right equipment which can help you in emergency. The second point is having fire extinguisher servicing in order to minimize the chances of fire accident. Fire equipment’s has its own specification and can be used for a specific purpose. For example, you cannot use a water fire extinguisher on the electrical fire. Instead, it will help the electrical fire to spread rapidly over the surface. Besides that, you need to focus on your budget and the fire equipment’s maintenance. The fire equipment needs maintenance on the periodic basis to examine that, fire equipment’s are in perfect condition or in case of any inspection, the fire equipment would go through maintenance process because these equipment’s have to be ready at the time of emergency to stop the fire from the initial point. This is one of the important points which we need to keep in mind while purchasing or installing fire equipment. So, let’s have a look for some type of fire equipment and see how fire equipment’s can save our lives from fire accidents. Over the passage of time, technology has invented different types of fire equipment’s to eliminate the chances of fire accidents. For each type of fire accidents, they have invented a specific type of fire equipment and these equipments are working perfectly. Some of the fire equipment’s are down below and it’s easy to be installed with less installation cost. Among all the fire equipment’s, the fire blanket is one of the effective equipment that, you can use even during fire accidents. The fire blanket is a fire resistance equipment having no maintenance cost and doesn’t need a huge space for carrying. You don’t need a professional member for the instruction and other procedure, you just need to get enough information about fire blanket that, how you should use fire blanket during fire accidents. The fire sprinkler is the latest technology and it’s having a heat sensor in the device. In case of any irregular temperature in the area, the fire sprinkler will automatically throw water over the surface. The fire sprinkle needs a professional member for the installation process and needs maintenance on a periodic basis. The fire extinguisher is less expensive and more effective fire equipment to control fire accidents. You can use a fire extinguisher for any type of fire accidents. Besides that, the fire extinguishers are having up to 5 years warranty.